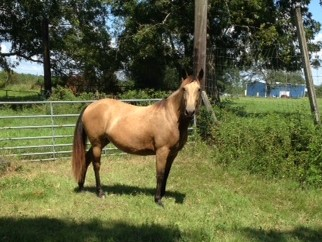 This filly has been on my farm since a yearling.She is not broke. Has a great gait and is a real looker.Has never been bred. I was holding her back to breed but time and my age is getting away from me. She came out of registered stock and a Perlino stud which I was told she would have the agouti gene.Price is firm and she has no health problems.You will be getting a blank canvas to make her into something special if you do it right and spend the time.She is not registered.